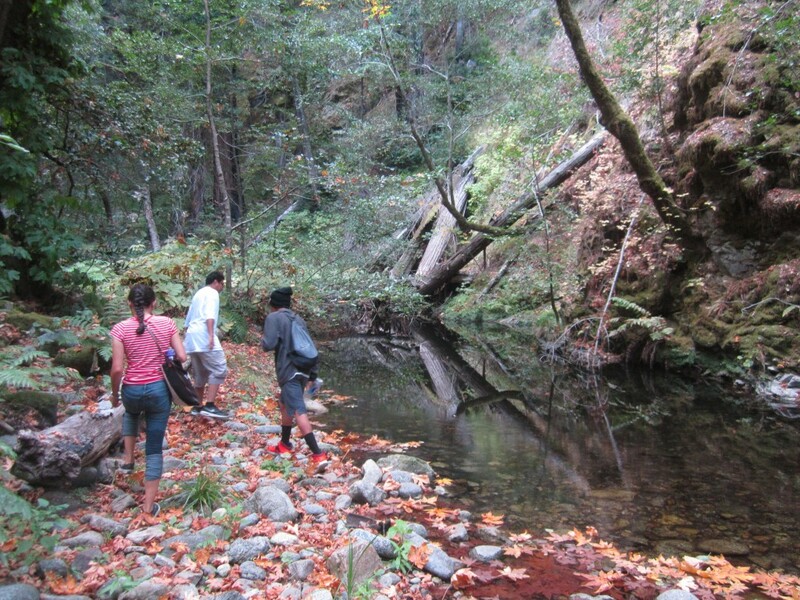 The 2015 Fall season is off to a great start with several Youth in Wilderness outings getting area youth out and into their local public wild lands of the Ventana region. 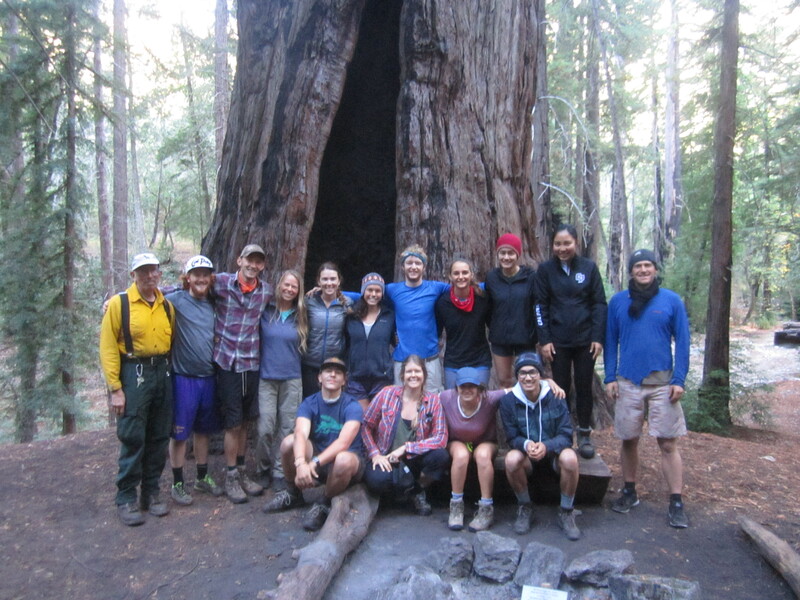 On Oct. 8th to 10th, YiW Leader Bryce Winter (me), teamed up with new partner, the Community Partnership for Youth (CPY), for special events at Pfeiffer Big Sur State Park led by the Leave No Trace Traveling Trainers Jenna and Sam. Earlier in the week, I accompanied Volunteer Wilderness Rangers Lynn Moncher, Steve and Beth Benoit as well as the Traveling Trainers Sam and Jenna to Sykes Hot Springs on the heavily used Pine Ridge Trail corridor to make a Leave No Trace assessment, do some cleanup work and make public contacts. Several inappropriate fire rings were disassembled along the river and new fire restriction signs were placed at approved sites. We picked up trash along the river (plenty of toilet paper of course) and the rangers engaged with some of the visiting backpackers. According to Steve and Lynn, the state at this LNT hot spot was actually pretty good compared to recent years. 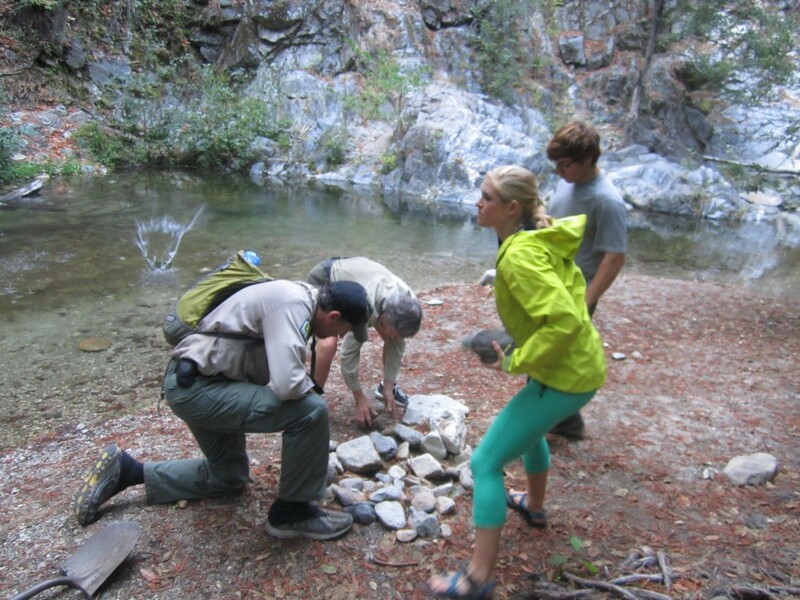 An increased focus on changing user behavior has a lot to do with this change, including a Sykes specific trail brochure, ranger patrols and new informational kiosk at the trail head featuring the Leave No Trace principles. 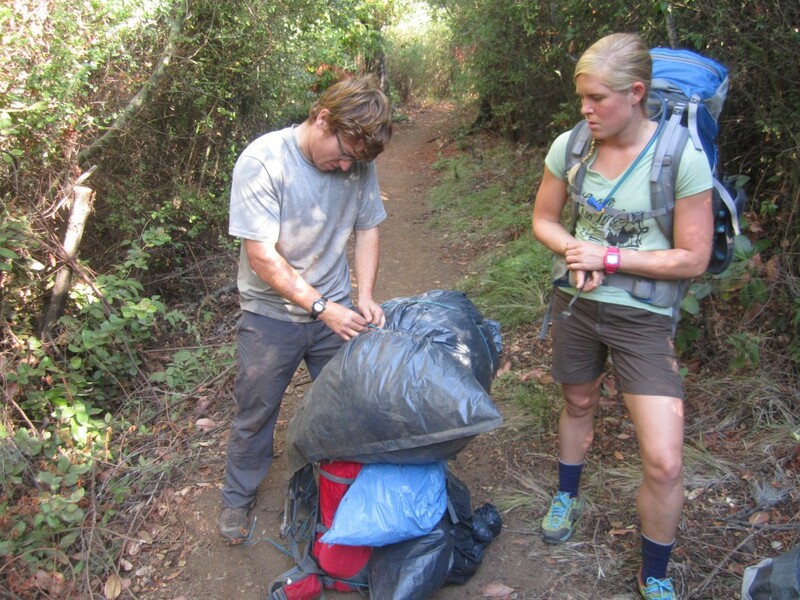 A large volume reduction was made to the trash cache along the trail that descends towards Sykes camp on our way back toward Big Sur Station, each of us strapping what we could to our packs. 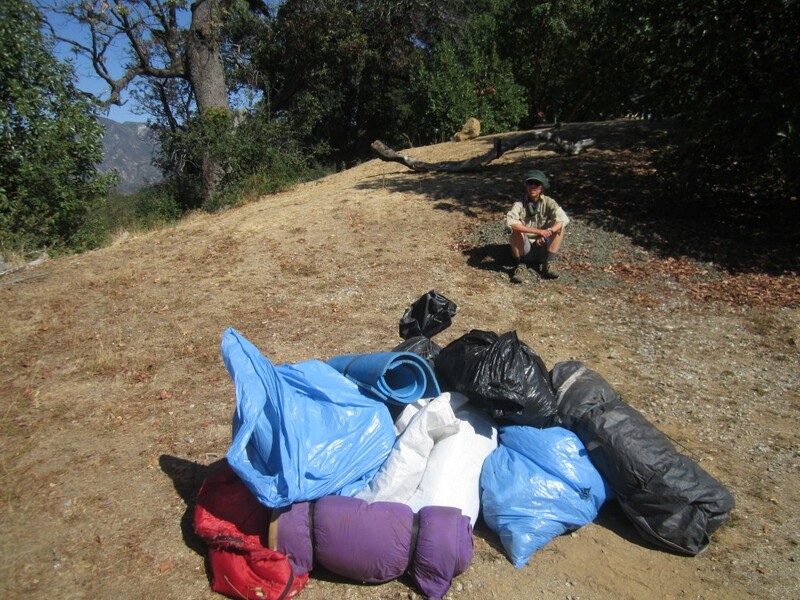 The efforts of volunteers over the years to remove trash and left behind camping gear has amounted to a tremendous pile accumulating in a cache- some wilderness visitors mistaking this for some sort of trash collection site! We were glad to haul out what we could of this wilderness travesty. 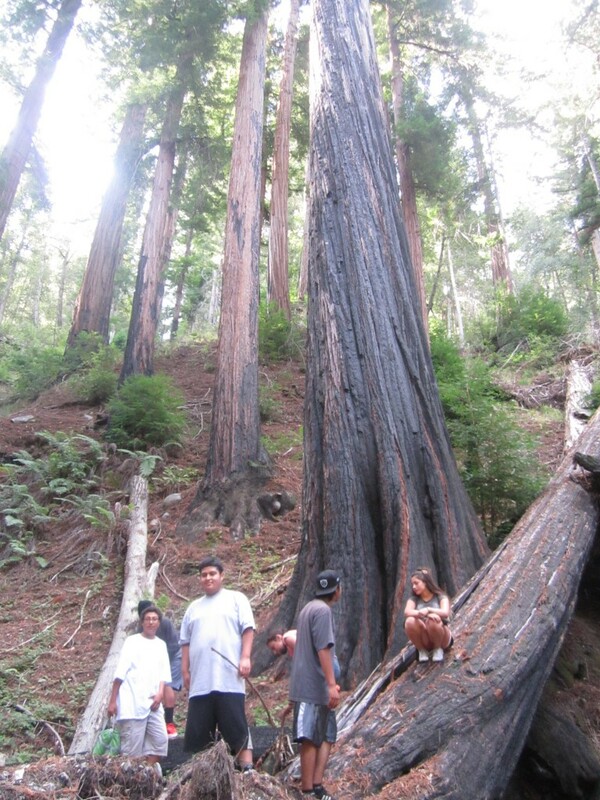 The Leave No Trace Trainers stayed at Pfeiffer Big Sur State Park for the week and I returned with a new YiW partner, the Community Partnership for Youth, for an exploration of the Pine Ridge trail and to take part in LNT events at Pfeiffer Big Sur State Park. CPY is a "prevention program providing positive alternatives to gangs, drugs and violence while reinforcing individual strengths." 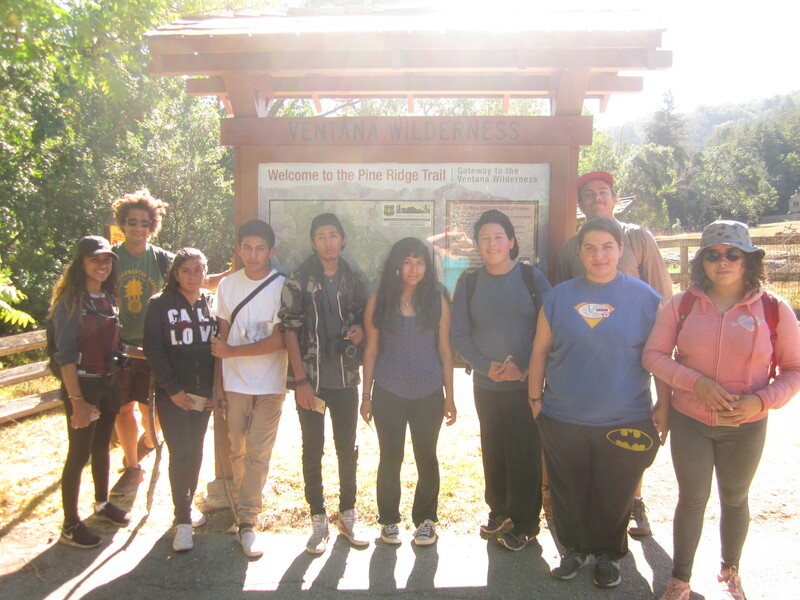 This group of teens from various high schools in and around the Monterey Peninsula are student leaders for CPY that mainly work with elementary and middle school aged youth providing mentoring and after school activities. It was an excellent opportunity for these young leaders to be exposed to their public lands, bond with one another, learn about Leave No Trace outdoor ethics and strengthen their leadership skills. I was glad to be able to share the findings from the recent outing to Sykes camp and explore some of the issues relating to heavily visited areas in the wilderness. 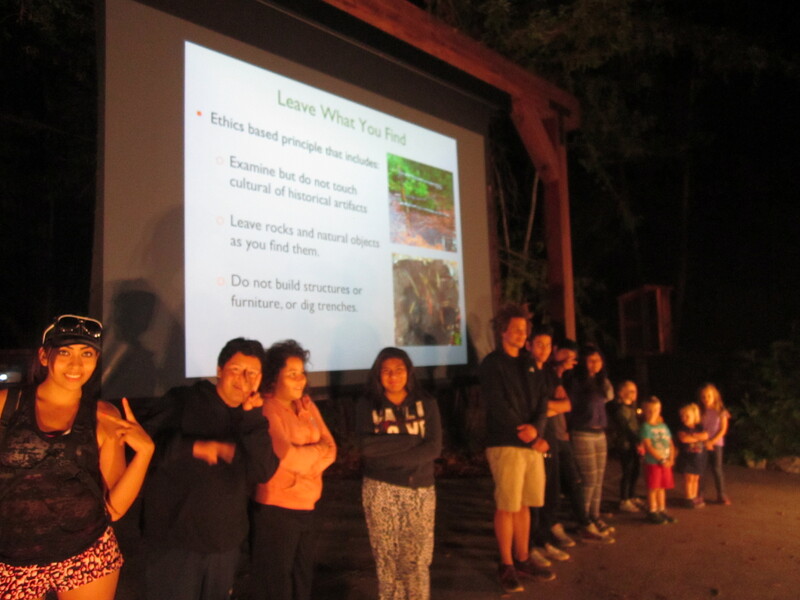 Sam and Jenna of Leave No Trace lead a Friday night campfire program at Pfeiffer Big Sur State Park, highlighting LNT principles along with interactive games to help illustrate best practices. 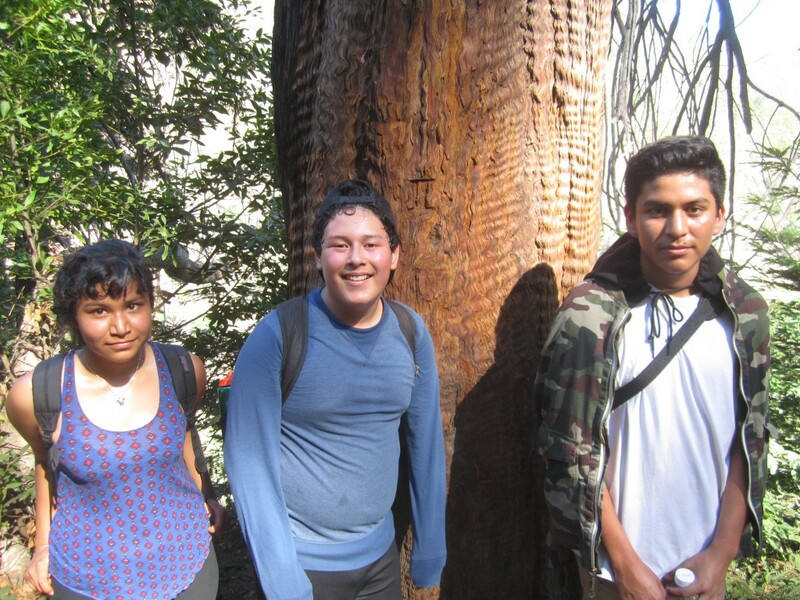 On Oct. 13-15, teacher Christian Lamonea and I led students from long-time Youth in Wilderness partner Salinas Community School. 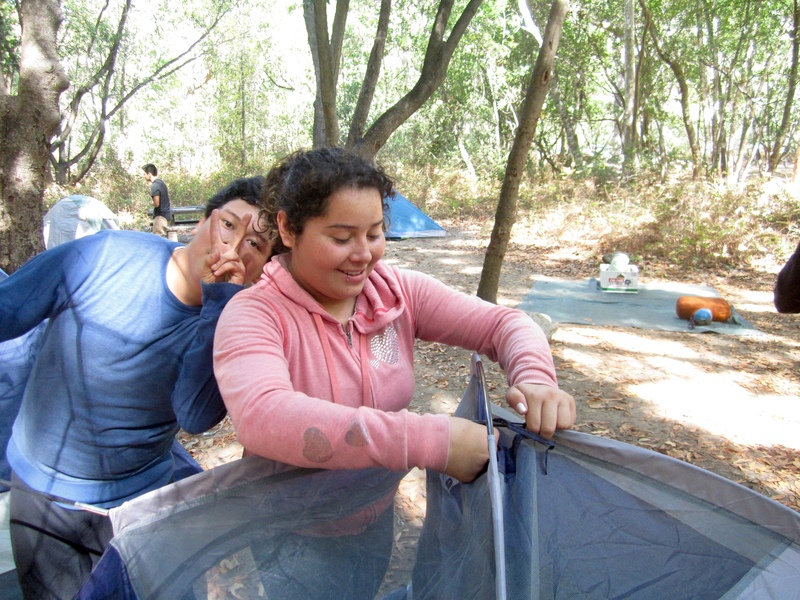 Students explored the Little Sur River valley on this introductory wilderness backpacking adventure, learning basic principles of wilderness travel and Leave No Trace etiquette as well as lessons on coast redwood ecology, a perfect setting for such discovery. Hiking along the Little Sur river, students were amazed by the large old-growth groves and fully enjoyed the beauty of the wild river. 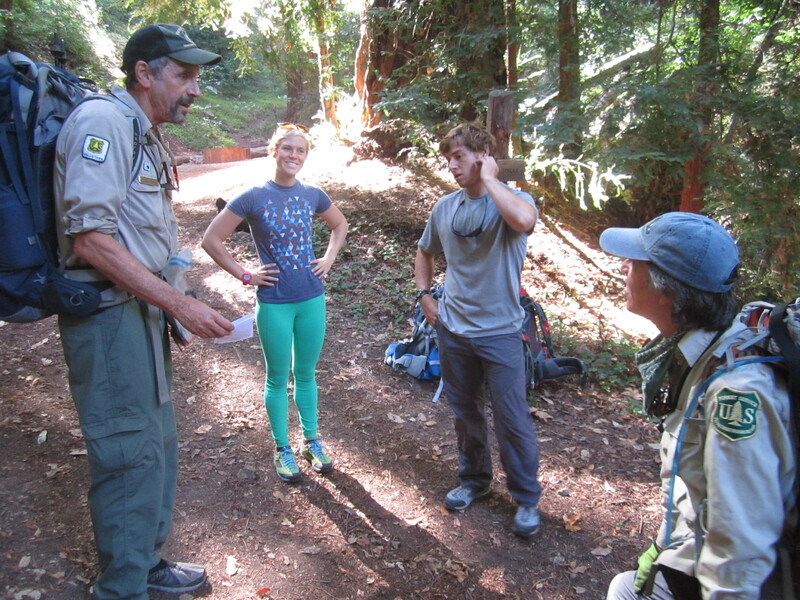 On Oct. 16-18 Stuart Abel and Luna Miller led students from the Cal Poly Escapes program on a Service-Learning outing to Vicente Flat with long-time Trail Crew leader Mike Heard. 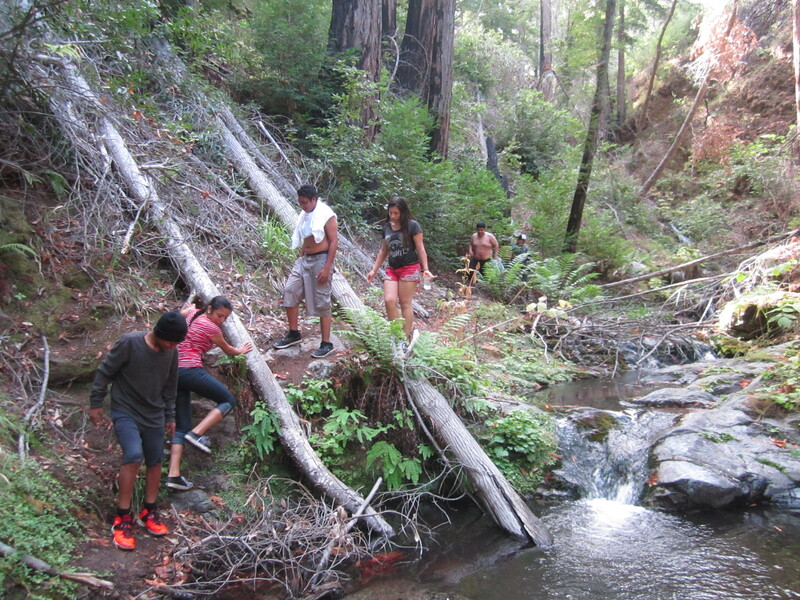 Many of these students were on their 3rd or 4th YiW Service-Learning out and were very thrilled to be out yet again amidst the beauty of Big Sur. Students completed brushwork along the Kirk Creek trail toward Cone Peak road. 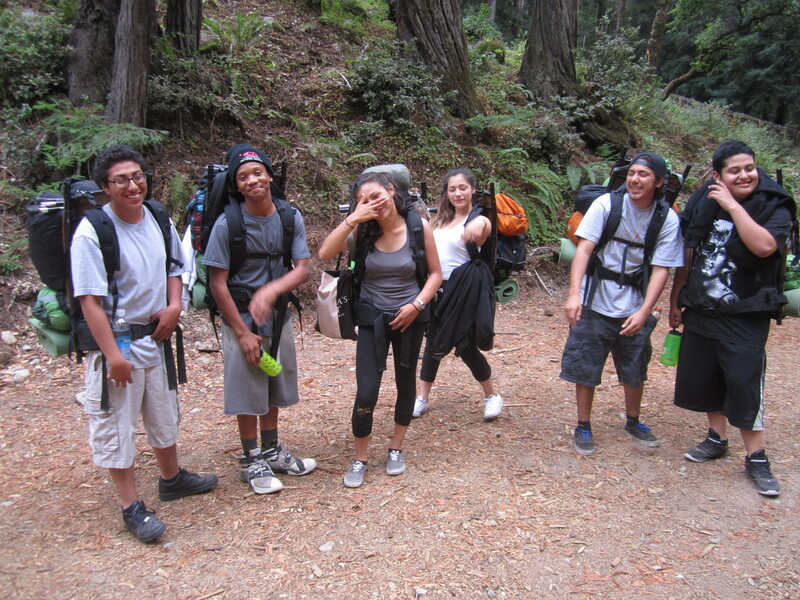 Heard was very satisfied by the accomplishments of this enthusiastic group of young wilderness travelers. 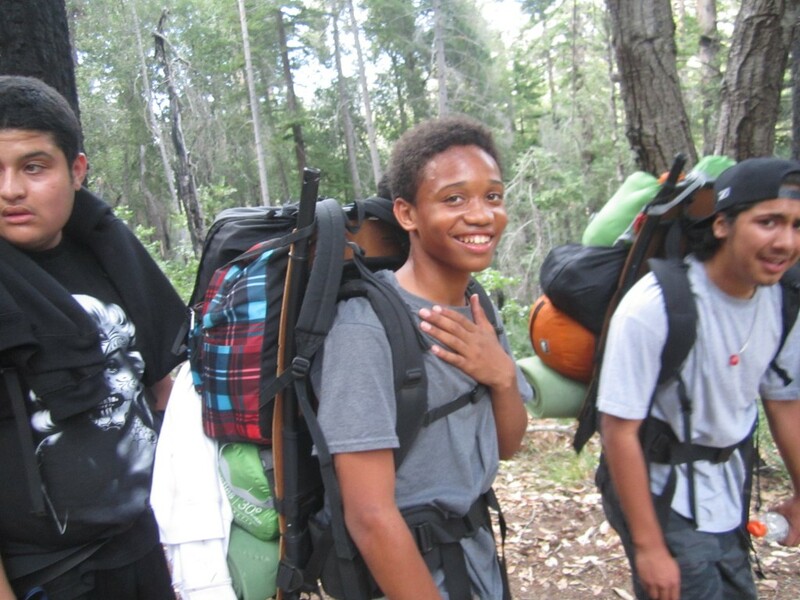 Thanks for reading and for your support of the Ventana Wilderness Alliance and the Youth in Wilderness program. These expeditions are provided at no cost to participating students and their schools or organizations. That is why grant funding is essential to the growth of this program. We would like to thank the following funders for their support! The North Face Explore Fund The Monterey Peninsula Foundation Save the Redwoods League The Arkay Foundation Fernandez Pave the Way Foundation Please stayed tuned for more posts! Great job Bryce… looks like a good start before the weather changes!